O’Donnellan & Joyce auctioneers is heading into the auction room today for its first auction of 2018. The Wild Atlantic Way spring auction will take place at 2pm today, March 1, in Harbour Hotel. Registration will begin from 1pm in the hotel lobby. Colm O’Donnellan of O’Donnellan & Joyce auctioneers commented: "I would advise buyers to be there early and allow themselves some time to be organised. The auction moves fast, so there is little room for error. It’s a wonderful experience for buyers and sellers with a great atmosphere." The properties in today's auction include the following. Situated opposite NUI Galway, No 21 Lower Newcastle is a charming four bed semidetached home presented in excellent condition. The location is second to none with NUIG and UHG on the doorstep, along with a regular transport service and an abundance of amenities. This house offers off street parking to the rear. Its location just a short stroll from Galway city centre makes No 21 Lower Newcastle an ideal purchase for a variety of buyers. Excellent mid-terrace three bed home set in the popular residential neighbourhood of Mervue, offering substantial living space throughout with living room, fully tiled bathroom, and a kitchen with beautiful classic range. There is plenty of space outside with front garden of approximately 20m depth with off-street parking and an enormous private rear garden of c30m in length. Located in the heart of Mervue, No 15 Tone Avenue is within a short distance of a host of amenities and services. Would make an ideal first-time buyer/family home. Substantial property in the centre of Headford town and located on the main street (N84 ). A former licensed premises with overhead accommodation, this property is in need of modernisation. The busy main street offers a good footfall with its selection of shops, bars, and restaurants, and Headford town is popular for angling enthusiasts, given its proximity to the eastern shore of Lough Corrib. Detached four bed family home in a popular residential location, convenient to GMIT and many local amenities including schools, shops, Galway Clinic, Merlin Park Hospital, Bon Secours, Ballyloughane Beach, and Kingfisher Leisure Centre. Would also make a great investment property given its proximity to GMIT and Parkmore and Ballybrit business parks. Large detached house offering eight bedrooms at the entrance to the Woodlands estate on the eastern side of Ballinasloe. Only five minutes to the M6 (Dublin–Galway ) motorway, this property offers the convenience of being only 20km from Athlone town centre and only 40 minutes from Galway city. Detached three bed bungalow close to the junction with Barna Road and only a short stroll to Blackrock Tower and Salthill Promenade. Joyce’s Supermarket in Knocknacarra is nearby with a host of primary and secondary schools within five minutes’ drive of this location. Local amenities include Rusheen Bay, Silverstrand Beach, and Cappagh Park and sports grounds. With lots of potential, offering a great opportunity to live in a very popular location. Derelict detached farmhouse in need of total refurbishment with land of approximately 9.2357 hectares (21.6 acres ) on Folio GY24544, situated approximately two miles off the main Galway-Spiddal road. The location connects the Spiddal road to the main Barna-Moycullen road. The property comprises a large parcel of land with a number of neighbouring detached houses on large sites nearby. With the extensive road frontage, there is excellent potential for development subject to the necessary planning permissions. 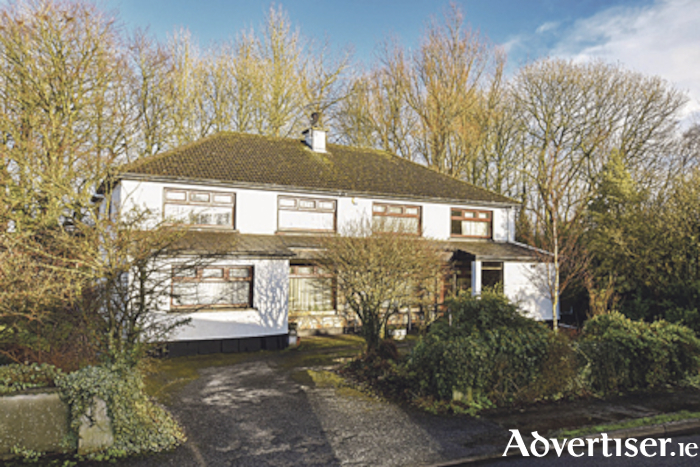 Semidetached house of approximately 1,320sq ft in a very popular residential development close to NUIG and UHG. Offering a large side entrance and rear garden, this property would make a beautiful family home. Given its proximity to the university, Kingfisher Leisure Centre, the hospital, and Dangan Business Park, this house almost guarantees rental income. Exceptional four bed detached family home located just off Shangort Road in the heart of Knocknacarra. It is within walking distance of Joyce’s Supermarket and Knocknacarra church, and close to Rusheen Bay and Barna Woods. This would be an ideal home for a growing family given its close proximity to Cappagh Park and sports grounds and a host of primary schools. It also benefits from a regular bus route to Galway city centre. Three bedroom semidetached family home in perfect condition. Lovingly maintained by its current owners and situated approximately 1km from Briarhill Shopping Centre and only six minutes from Parkmore Business Park. Main routes in and out of the city are just moments away. A great starter home in a family friendly estate. Wonderful two bed apartment located in this popular and sought after development. Situated adjacent to Terryland Retail Park and the Galway Shopping Centre and located within a leisurely stroll of Galway city's amenities and services. Within walking distance of NUIG and UHG, this property would be an ideal residence for an owner occupier or as a gilt edged residential investment. Detached four bedroom house located in the village centre and adjacent to the church. Located within walking distance of all amenities including Craughwell Railway Station offering a service to Limerick, post office, pharmacy, hairdressers, and restaurants. Craughwell is a splendid location with an easy commute into Galway city centre. Detached two-storey cottage style house on an elevated site of approximately 0.64 acre. Views from the rear of the house lead down to Lough Natawnymore and Tra an Doilin (Coral Beach ) is only two minutes’ drive away. Carraroe offers so much in outdoor activities including miles of coastal walks and sea fishing. The house needs total refurbishment but would make a lovely spot to retire to or the perfect bolthole for those weekends away. Lovely two-bedroom apartment situated in the centre of Salthill village. Built in recent years, Croit na Mara has proved to be an extremely popular development given its prime location and superb views of Galway Bay. Situated on the third floor with views over Salthill Promenade and within a leisurely stroll of Galway city centre. A site of 0.5 acre located just off the N84 main Galway to Mayo route, approximately two miles from Galway city centre on the northern edge of the city. Folio No GY86243F. Stunning circa 1.6 acre site offering panoramic sea views of the Atlantic Ocean. Uninhabitable old stone cottage stands on the land. Accessed by a laneway off a secondary road between Ballyconneely and Clifden. Offers excellent development potential. Retail unit facing out on to a busy thoroughfare, would potentially suit hairdressing salon. Car parking space available at a cost of €5,000 extra. Well-maintained and fenced agricultural land, totalling some 41.934 acres, currently operating as a farm. A portion of the land is planted with vegetables, and features two large cattle sheds. Folio No GY35456.